The aim of this course is to produce practitioners who are fit for practice, fit for purpose and fit for award. This course is designed for those looking to make a contribution to both the public and women's health agendas. We're approved by the Nursing and Midwifery Council (NMC) and affiliated with world-renowned teaching hospitals and Trusts. Our shortened course is for qualified registered adult nurses who wish to further develop their professional knowledge and skills to be placed on the professional register and to work as midwives. We have professional links with world-renowned teaching hospitals and Trusts in London and the South East. Ranked No.2 London Modern University for Learning Opportunities, Academic Support, Student Voice and Overall satisfaction in Nursing (National Student Survey 2017) . No.1 London modern university in the UK for Satisfied overall with course in Health Professions (Guardian League Table 2018). 95% of students are in employment or studying six months after graduating, UNISTATS 2017. In the final phase of the course you are given the opportunity to do one week's rostered service to develop your practical skills by being the lead professional in the care of low risk women. We have a real-time labour ward that is set up to simulate the range of delivery environments available to labouring women. No.1 in London for graduate prospects in Nursing (Complete University Guide 2019). Our Real-time Labour Ward provides an environment that is realistic but safe, allowing midwifery students to gradually become confident in their skills. Maria Yunusa feels the support she received during her time at LSBU helped her to start the career she always wanted. The main focus of the course is the promotion of normality, i.e. the framing of childbirth as a normal physiological process which the majority of women will undergo in their lifetime. The course also acknowledges that a number of women have more complex needs where technological help will be needed. You are expected to achieve the theoretical and practice standards stipulated by the Nursing and Midwifery Council (NMC) to enable you to perform the 'Activities of a Midwife' (NMC 2004) within the context of promoting normality, using preventative measures, detecting complications, accessing appropriate assistance and carrying out emergency measures in the absence of medical aid. The module prepares you for the role of the midwife throughout preconception, pregnancy, childbirth and the postnatal period. Building on previous knowledge, you will acquire an in-depth understanding and application of anatomy and physiology related to the childbearing continuum. A critical exploration of midwifery knowledge and the role of the midwife will provide a foundation for normal midwifery practice. This module will enable the acquisition of knowledge and skills required to support successful breast feeding. This module explores relevant sociological and psychological theory and research, related to pregnancy, childbirth and early parenthood. This module utilises a salutogenic approach to childbirth where birth is viewed as a normal physiological event. The module provides an exploration of factors which can influence the woman's psychological and emotional health and wellbeing. In application of this knowledge, the public health role of the midwife will be examined. This module develops the ability to assess, plan, deliver and evaluate care for women with complex needs. The module provides an in-depth understanding of the range of complex factors which can potentially affect the health and well-being of the mother during pregnancy, childbirth and the postnatal period. This module will prepare you for the role in supporting women and their partners and families when complications arise in the fetus and neonate, normally associated with complex needs in the mother. Developmental and nutritional needs of the neonate will be emphasised. You will be enabled to provide transitional care, special and high dependency care for the compromised neonate. Application of evidence-based practice will be reinforced to enhance provision of care. This is a work-based learning module where you will be given academic credit for clinical practice and the safe and successful achievement of NMC midwifery proficiencies in practice. This will be facilitated by the clinical mentor. You are required to present two reflective accounts, one formative and the other summative demonstrating how care was delivered safely and appropriately to a woman. The formative account must be related to normal midwifery and the summative to a woman with complex obstetric needs. This will be within the context of the theoretical modules studied during phases one and two. The performance will be graded by the sign-off mentor using a level 6 marking grid. In addition, you will submit a supporting paper detailing a reflective analysis of the care given. This module carries the theoretical underpinnings of leadership and management, and has been designed to encourage you to recognise the importance of these roles in the planning and provision of care in maternity services. You will be guided to review your knowledge, to explore and develop management and leadership skills and to integrate the application of professional, ethical and legal aspects of care in the empowerment of staff and clients/mothers/families. Case load holding will be reviewed within this module. Many graduates take their first posts as qualified practitioners in the NHS Trusts and hospitals where they gained experience during their training. The degree enhances employability through its emphasis on a vocational approach to teaching, leading to a professional qualification and registration with the Nursing and Midwifery Council (NMC). The majority of roles are in the NHS, although there are opportunities at private hospitals, clinics and abroad. Day-to-day the work can be varied, as midwives have a range of responsibilities. Providing advice to women and their families; diagnosing, monitoring and examining women during pregnancy and co-ordinating with other professionals and agencies are all typical activities. There are also opportunities to enter education such as; practice development midwife, midwifery lecturer or lecturer-practitioner, research and management. Recent graduates have become specialist midwives in teenage pregnancy, HIV, and smoking cessation counselling, whilst others have gone on to work in children's centres or become consultant midwives. Being able to keep a calm head under pressure is essential, as are excellent people skills and good physical and mental stamina. Due to the nature of the work, many midwives do shift work around the clock, including weekends and bank holidays. Salaries in the NHS start around £21,000 – with experienced midwives earning up to £34,500 and midwifery consultants earning up to £67,000 (National Careers Service). As a graduate from this course, you will be able to apply for further study at postgraduate level. LSBU runs a part-time MSc Midwifery and Excellence in Practice which is suitable for graduates with a minimum of one year professional practice experience. Find out more about this course through our online CPPD prospectus. The programme has been jointly validated by LSBU and the NMC. On completion of the course, you are eligible to be placed on the NMC professional register. Job title: Senior Lecturer in Adult Nursing and Midwifery. 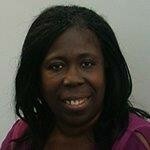 Sheila Baldwin is a Senior Lecturer in Adult Nursing and Midwifery in the School of Health and Social Care. Dr Sarah Church is an experienced midwife, educator and researcher. 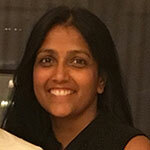 She is in a joint appointment with LSBU and Barts Health NHS Trust. 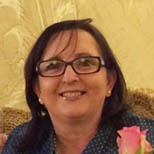 Evelyn Collison is a Senior Lecturer in Adult Nursing and Midwifery in the School of Heath and Social Care. 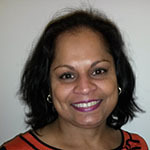 Sarah trained as registered nurse at the Royal London Hospital, Whitechapel, qualifying in 1992, and completed midwifery training at St Thomas' and Guy's Hospitals in 1994. 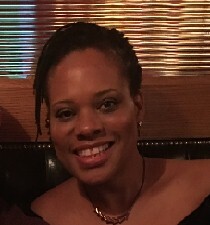 Sarah's specialist interests are culture and childbirth, female genital cutting, sickle cell and thalassaemia and high-risk pregnancy surveillance. Priti Patel is a Midwifery senior lecturer in the School of Health and Social Care. 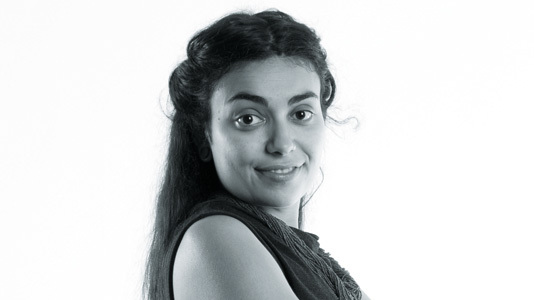 Rosabell Ramesar is a Senior Lecturer in Midwifery in the School of Health and Social Care. 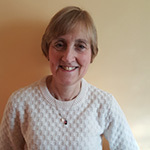 Helen Seignior is a Senior Lecturer in midwifery in the School of Health and Social Care. Michelle Steptoe is a Senior Lecturer in Midwifery in the School of Health and Social Care. 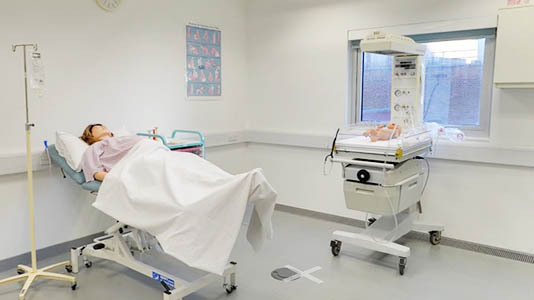 Our midwifery students have a real-time labour ward that is set up to simulate the range of delivery environments available to labouring women. The students can rehearse dealing with emergencies in a simulated setting. The nursing and midwifery wards have simulator mannequins: SimMan, SimBaby and SimMom. These life-size mannequins are computer controlled and can be programmed with various clinical conditions. These are operated by a computer in real-time and so respond to a student's actions. They also allow students to see the outcome of specific interventions in certain scenarios, which could make the patient better or deteriorate quite quickly. The mannequins are used to teach students how to recognise clinical signs, and to also associate those clinical signs with the actions they are taking to care for the patient. SimMan can be male or converted to female with fully accurate anatomy and can breathe, blink, sweat, speak and groan in pain as well as have a pulse. Read more about SimMan. 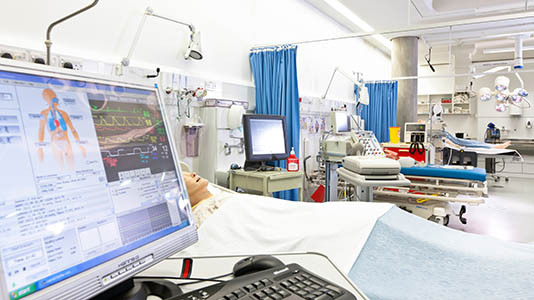 Our realistic wards and lifelike mannequins allow students, NHS trusts and businesses to practice skills in a safe environment supported by experts. 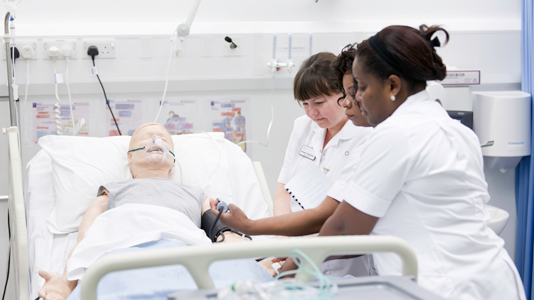 The School of Health and Social Care uses a variety of mannequins to help students learn clinical skills in a simulated care environment in laboratories. You will be a registered Adult nurse (level 1) with current registration with the NMC; a minimum qualification of Diploma in Higher Education; and at least 6 months post qualification clinical experience. Applications are made through local Hospital Trusts (Whipps Cross University Hospital Trust / Barking Havering and Redbridge University Hospitals NHS Trust). These Trusts advertise on the NHS jobs website vacancies available. Applications are made online directly to them. The fees for international students are reviewed annually, and additionally the University reserves the right to increase tuition fees in line with inflation up to 4%. Following a Government announcement in February 2018 registered adult nurses undertaking the 90 week shortened midwifery course will need to apply to the student loan company for funding to cover their course fees. There may be opportunities for some applicants to receive salary support from our local Trusts. These opportunities are advertised via the NHS jobs website. 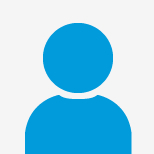 Other students can apply for a maintenance loan via the student loan company . More information about funding for health care courses is available online from The Funding Clinic: https://thefundingclinic.org.uk. Lisa Cecere is currently in her second year of the three year BSc (Hons) Midwifery degree here at LSBU.